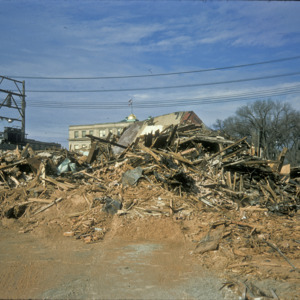 Future site of Old Capitol Mall. 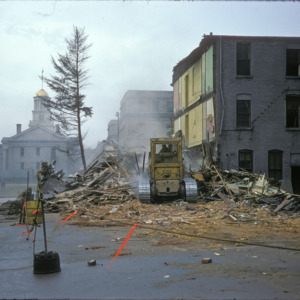 Future site of the Old Capitol Mall. 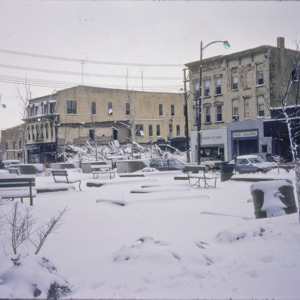 View of South Clinton Street downtown. 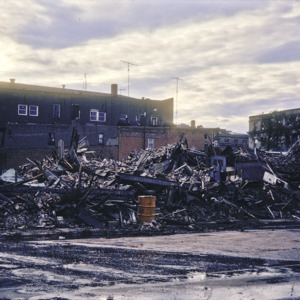 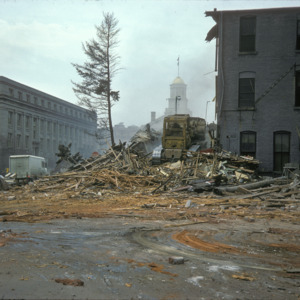 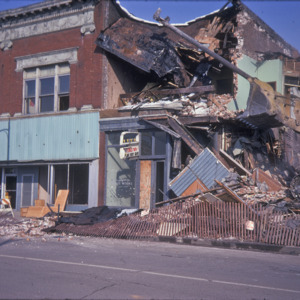 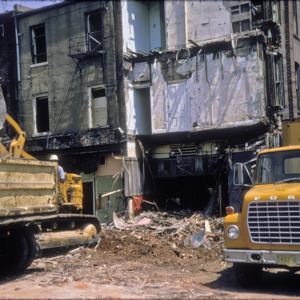 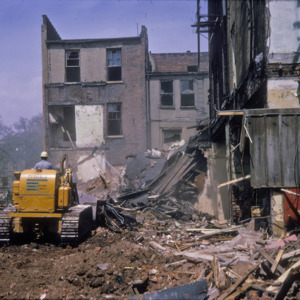 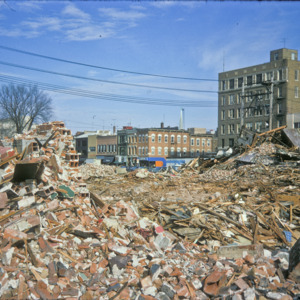 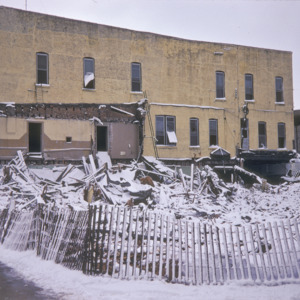 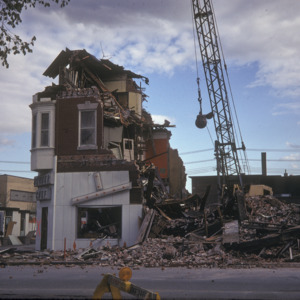 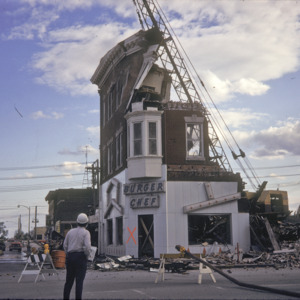 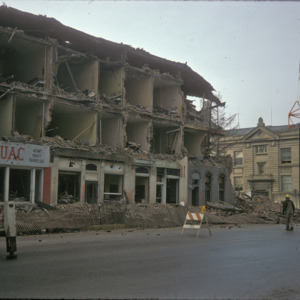 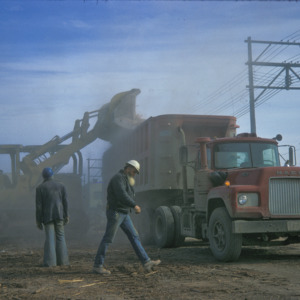 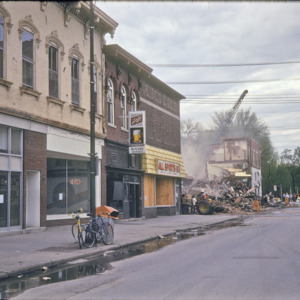 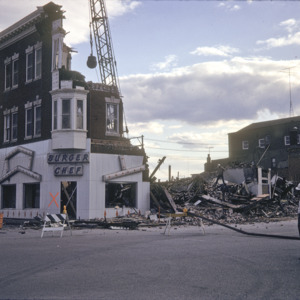 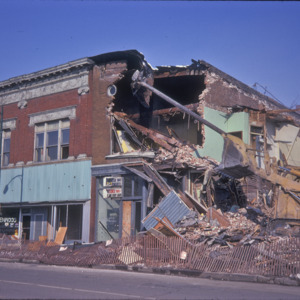 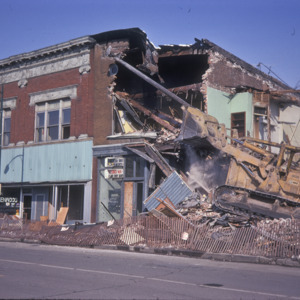 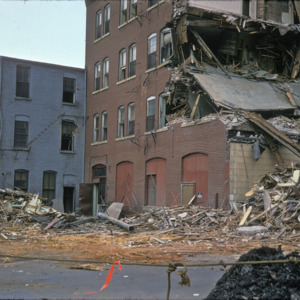 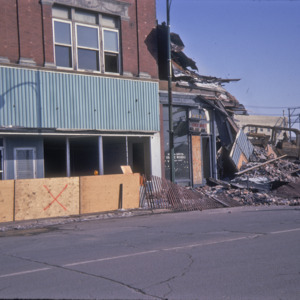 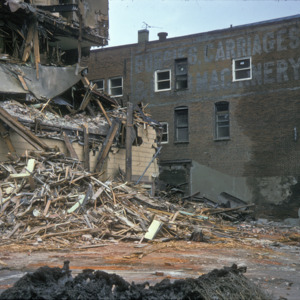 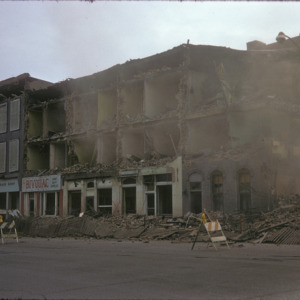 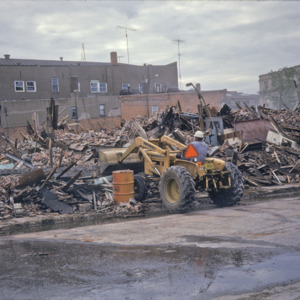 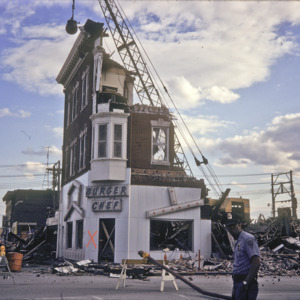 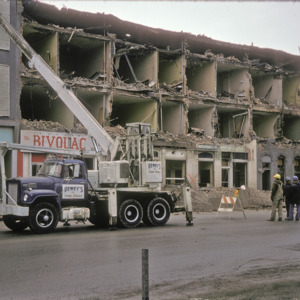 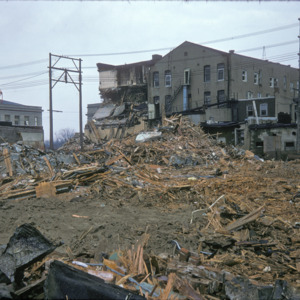 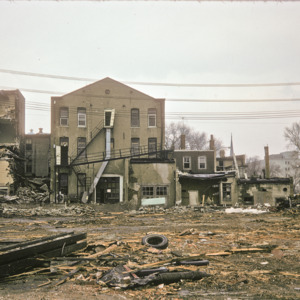 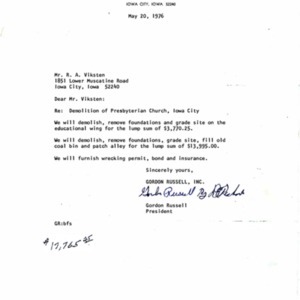 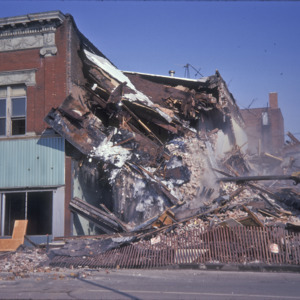 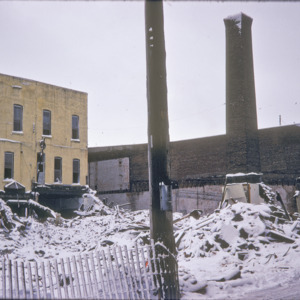 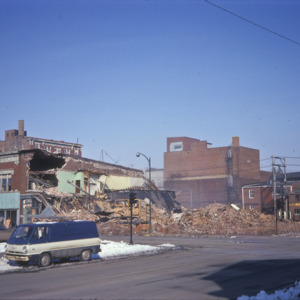 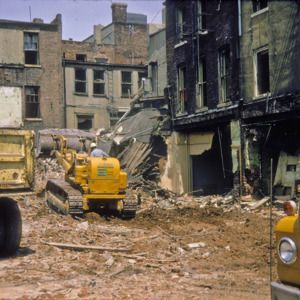 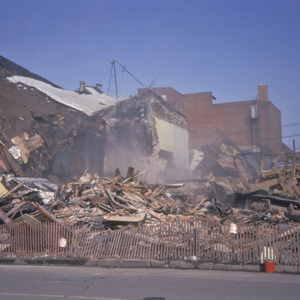 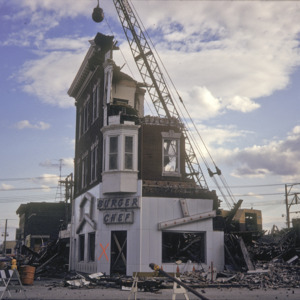 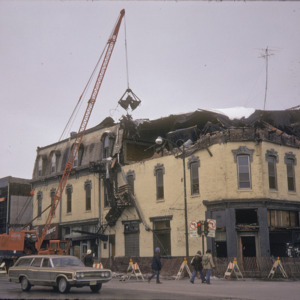 View of the rubble left after demolition of Block 84 in downtown Iowa City during urban renewal project. 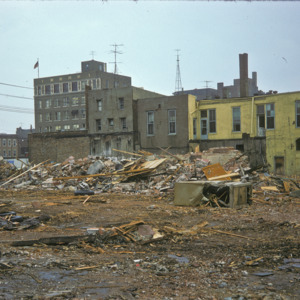 Future site of Old Capitol Mall. 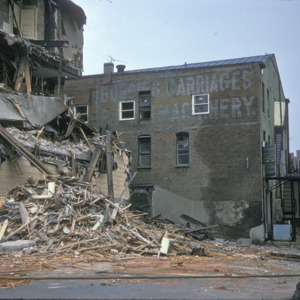 Building advertisement reads, "BUGGIES, CARRIAGES, AND [FARM] MACHINERY"
Sign reads, "SINCE 1876/MARK EVERY GRAVE"
Debris from urban renewal. 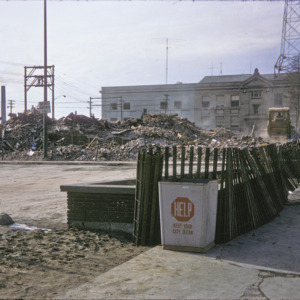 Future site of Old Capitol Mall. 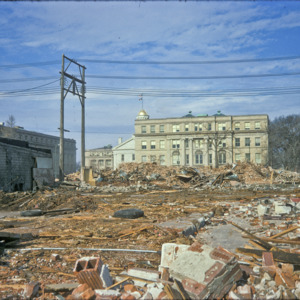 University of Iowa Seamens Center for Engineering building in the background.